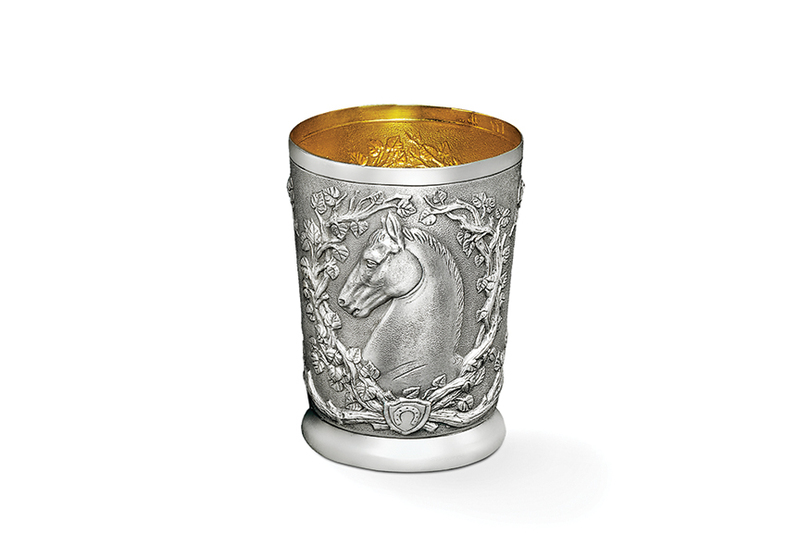 More than a stunning julep cup, the Single Horse Julep Cup is a handcrafted sterling work of art. With Galmer's signature sculpted appeal wrought by repoussé silverworking, the Single Horse Julep Cup features a proud horse festooned by artful foliage. Height: 4 1/2". Capacity: 11 fl oz.